Gary is the Founder and Managing Partner of Tower Hill Financial Group. His mission is to help his clients identify and map out their current financial picture, and define their future financial goals. Alongside an integrated team of specialists, Gary provides innovative and strategic solutions using world-class insurance services and internationally recognized investment products. Through these efforts, Gary is able to develop enduring relationships with his clients across the United States. Described as gregarious and warm by friends and colleagues, Gary is the first to admit that he thrives on human connection. His innate ability to connect with others has played a huge factor in his success in the financial services world, where he has built a business around the notion of giving his personal philosophy for life. Community and social activism remains paramount to Gary’s daily habits and mores. He serves on numerous boards including Prolanthropy (philanthropy management in the professional sports industry) and the Wayland-Weston Rowing Association. He has served as a past board member at Newbridge on the Commons (Assisted Living). He also volunteers with his children at Sacred Heart Parish Food Pantry and Traditions of Wayland (Assisted Living). 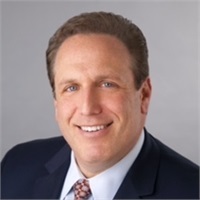 Gary is a member of the Boston Estate Planning Council (BEPC), MassMutual Political Action Committee (MMPAC), and is a consistent qualifier of Million Dollar Round Table (MDRT) since 2011, which recognizes the top 2% of financial advisors in the world. Gary graduated Roger Williams College, and resides in Wayland, MA with his wife and three children.